The International Defence Exhibition and Conference took place on February, 17 – 22 in Emirates Palace Hotel, Abu Dhabi (United Arab Emirates). 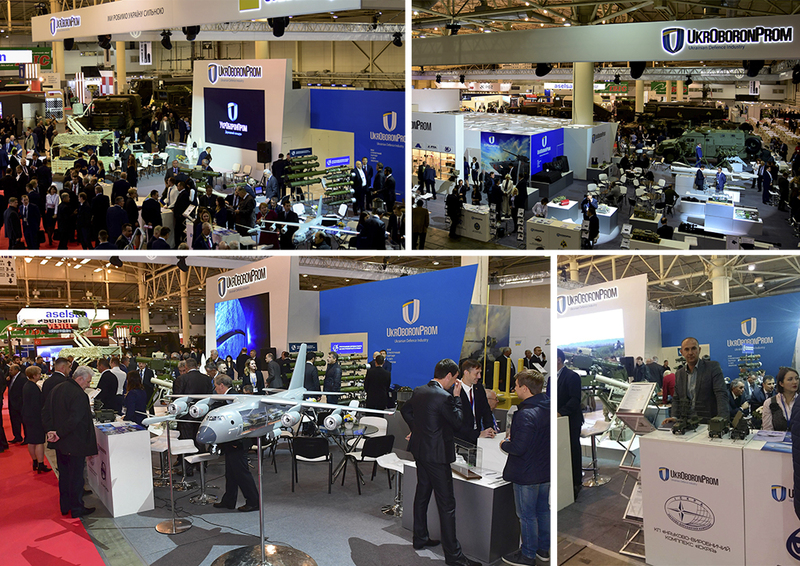 About 900 of defense industry corporations from different countries of the world participated in the exhibition, including UkrOboronProm enterprises. Every two years, the city of Abu Dhabi in United Arab Emirates hosts the biggest defense exhibition in the Middle East, IDEX. Enterprises present the latest design in land, maritime and air defense. The main goal of the exhibition is to strengthen relationship between enterprises, governmental organizations and members of the Armed Forces, to create mutually beneficial contacts between them, and to contract supplies of weapons. “Iskra” presented an innovative 1L221E Counterbattery Radar that can be used for both surveillance and detecting enemy and friendly artillery. Technical peculiarities of the radar allows detecting classes of shooting systems (mortars, artillery, tactical missiles), determine impact points of mortars and ordnances, detect enemy UAVs and military aircraft. “Iskra” delegation held meetings and negotiations with the heads of American and European enterprises of defense industry. Possibilities of extension of the contracts and concluding mutually beneficial arrangements in the field of co-development of new radar stations and component supplying were discussed. “Participation in IDEX-2019 is a big event for our enterprise. Foreign companies are interested in cooperation. We held 18 meetings with potential partners during those 5 days. Our developments are properly represented; the production is competitive and arouses customer interest. We expect to cooperate with foreign customers and produce exportable items”, - said Yuriy Pashchenko, director of SE SPC “Iskra”. Throughout 2018, enterprises that are part of Ukraine's defense concern UkrOboronProm have been developing, showcasing and testing dozens of new and modernized weapons and pieces of military equipment. Among the most successful projects there is Iskra Counterbattery Radar. According to the information published on the UkrOboronProm website, top-5 developments include “Neptun” anti-ship missile (implemented by Luch Design Bureau), “Kvitnyk” modernized 152mm precision-guided munitions (Progres Research and Production Complex), MLRS “Berest” (SE “Shepetivka Repair Plant”), Combat Optical Gunsight OPSN-I (SE “Izum Instrument-Making Plant”), and 1L220UK Counterbattery Radar (Iskra Scientific Production Complex). 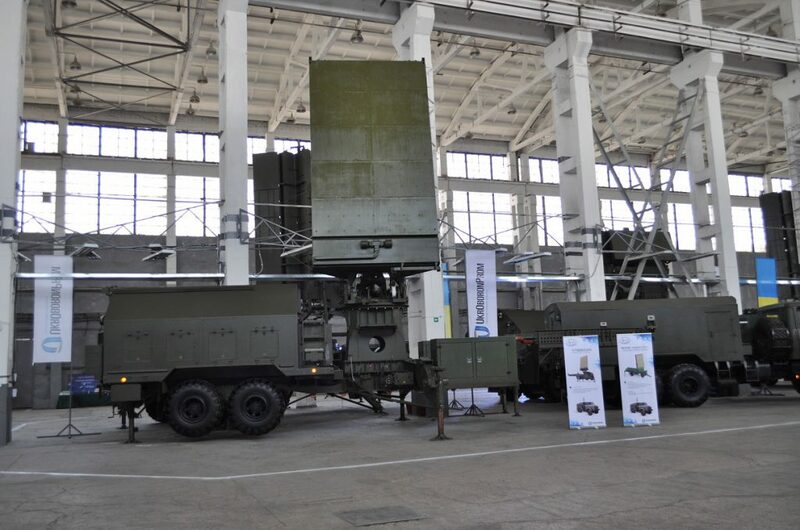 1L220UK Counterbattery Radar exceeds those radars that Ukrainian Armed Forces have in service. This radar can be used for both surveillance and detecting enemy and friendly artillery. Technical peculiarities of the radar allows detecting classes of shooting systems (mortars, artillery, tactical missiles), determine impact points of mortars and ordnances, detect enemy UAVs and military aircraft. 1L220UK Counterbattery Radar contains of two transport units: an antenna equipment vehicle and an operation shelter. This type of construction increases the security of servicemen in armed conflicts. Antenna equipment vehicle may operate autonomously, because it is equipped with a mobile workplace. Counterbattery Radar is versatile; it may be used in different locations, regardless of the climatic conditions and intensity of intercept mode. Such radars are used during massive military operations with a high level of concentration of military equipment, during limited interventions and peacekeeping operations to control ceasefire on the large area. 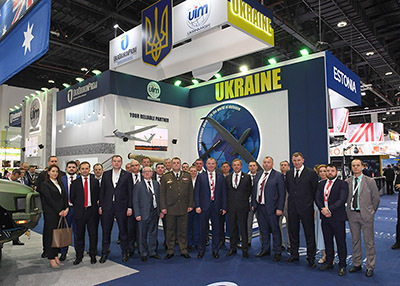 15th International Specialized Exhibition "Weapons and Security 2018" and 11th International Aviation and Space Salon “Aviasvit-XXI” took place in Kyiv from 9 to 12 October. The delegation of our company took part in the event. The "Arms and Security" exhibition traditionally took place in two main sections: weapons for the civilian population and equipment and armaments for the army and law enforcement agencies. Individual equipment and weapons, machinery of the Land Forces; equipping and armament of law enforcement agencies; border control management systems were presented on the exhibition. Delegations from 16 countries of the world, including Turkey, the USA, Poland, Austria, and Pakistan participated in it. Samples of military equipment were displayed, conferences, negotiations and other exhibitions were held in the pavilions and on the openings of the International Exhibition Center. The models of products МР-18 and 80К6Т were presented at the exhibition stand of the State Enterprise "Scientific and Production Complex “Iskra" this year. 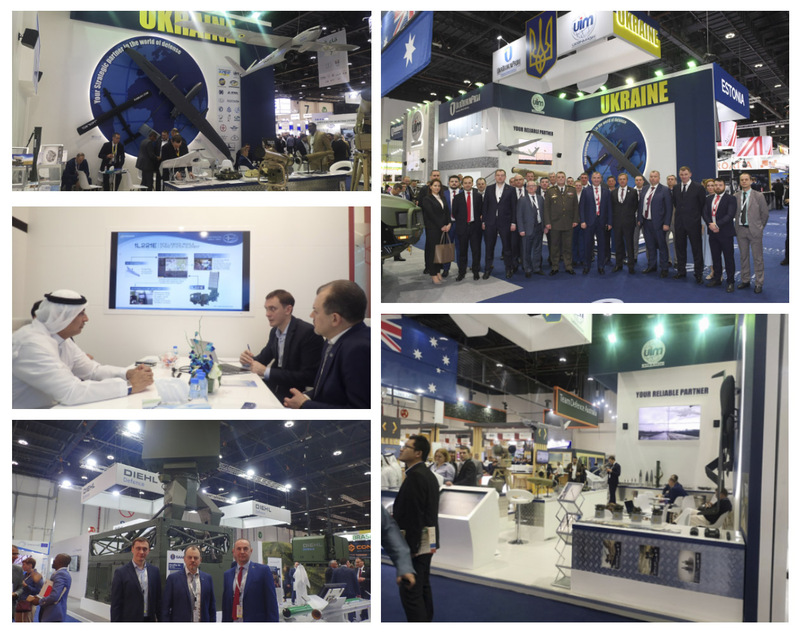 During the exhibition our delegation held a number of meetings and negotiations with the leaders of Ukrainian and foreign enterprises of the defense industrial complex and aerospace industry in order to develop mutually beneficial cooperation. According to Yuriy Pashchenko, Director of the State Enterprise "Scientific and Production Complex “Iskra", participation in exhibitions of such level is very important and necessary for the company, because the company can meet potential partners, share experiences and demonstrate the achievements of the company. Poroshenko visited the State Enterprise ”Research and Production Complex ”Iskra” and talked to the company's team during his working trip to the Zaporizhia Oblast. The Armed Forces received modern radar equipment, the President handed over certificates for radar stations intended for control the airspace and guiding the means of air defence. The Head of State emphasized that the plant's products play an important role in protecting the independence, sovereignty and territorial integrity of Ukraine and thanked the labor collective for their diligent work and high professionalism. 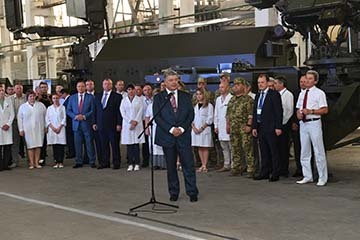 "This pearl of the Military-industrial complex of Ukraine plays an extremely important role in ensuring the state's defence capability," said Petro Poroshenko about the State Enterprise " Research and Production Complex “Iskra ". The President point out the importance of the military-industrial complex to work 100% for the Armed Forces of Ukraine. He also added that the Law "On National Security of Ukraine", that had been approved the day before by the Verkhovna Rada, would guarantee the budget financing of the military-industrial complex for the next years. The President stressed that it was important that high-tech military production was based on the use of Ukrainian component parts or those that had been produced in cooperation with the partner countries of Ukraine. Support of the defence industry is the priority for our country. It made it possible to develop and launch "our counterbalanced stations which characteristics are higher than what we have been offered on foreign markets." "The contribution that everyone of you made to defence the country is not less than the contribution of soldier and diplomats, which provide support to Ukraine", - said the president to the company's staff. "You the impossible – you restored production in such short terms. You saved the documentation of the companies located on the occupied territories and employed developers. Thanks to you the defence capacity was not diminished", said Petro Poroshenko and thanked the team for their devoted work.